Air Freshener - Various Scents. Water based and will not stain most surfaces. Keep a bottle in your garage new car scent is pleasant to smell. These car air fresheners work to freshen up the smell inside your car. You can spray as much or as little as you want of this premium liquid air freshener. You can choose from coconut car air freshener, bubblegum, lemon, cherry car scent, new car scent, new leather to make your car smell like it just came off the lot, and many more…. 3D’s Air Freshener’s are so popular! Why? In contrast to air fresheners like car vent sticks, which are costly and run out fast; 3D offers a more cost effective car air freshener as they have a longer lasting scent. Are you debating whether to use the little cardboard pieces you hang from your windshield or a spray air freshener? Well considering this more cost effective and gets the job done, why go with anything else? The hanging pine trees are costly since they lose their pleasant smell fast. 3D offers a wide range of scents that can appeal to anyone’s taste whether you like fresh scents, fruity smells, or tropical aromas. You can use 3D’s 1 gallon air fresheners for a long time. Detailers can refill the liquid air freshener into a 3D OSHA Compliant bottle for easier spraying. This is the most affordable car air freshener you will find on the market that also works very well. Gallons are great sizes for high volume detailers, dealerships, car washes, and even marine users. If you are a boat owner or captain you can keep it in your captains quarters and use as often as you like, and with the nice large size of the 1 gal scent you can store it, and not have to worry about running out of your favourite smelling product. 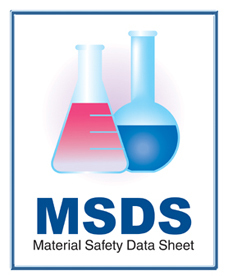 * This MSDS Sheet is in .pdf format. Please download Adobe Acrobat Reader to view it. You can also right-click and 'save as' to save it.